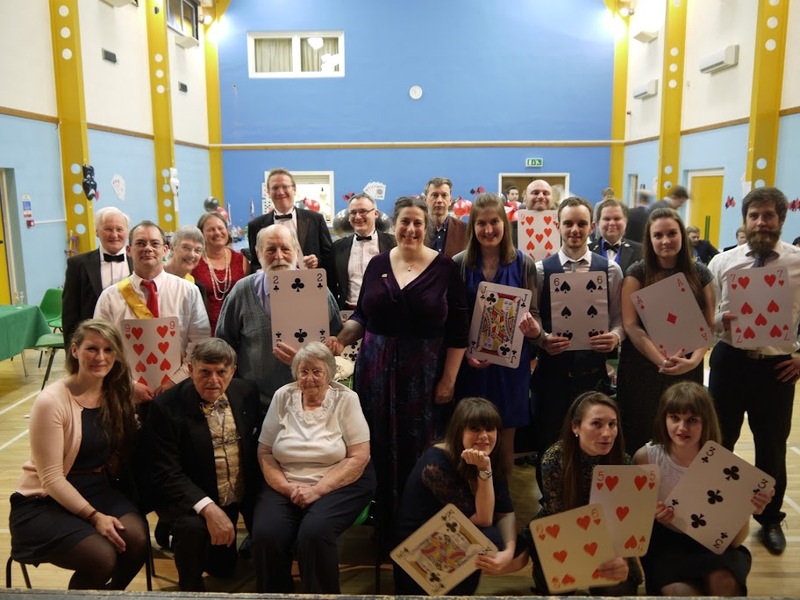 On Saturday 23rd April we hosted a casino night, in partnership with the Oxford Rotaract Club. All toy money, but prizes for the winners, lots of fun, dinner and a cash bar. We were raising funds for Restore and Oxfordshire Mind – the two charities chosen for the year by Oxford Spires and Oxford Rotaract. We weren’t overwhelmed with visitors however everyone who joined in had lots of fun: Ann and Philip learnt how to be croupiers; Michael senior was pretty hot on the roulette wheel; Caroline and Sarah were in charge of catering and did a fantastic job; Michael junior and Michaela ran the bar; Chris and John showed off running the poker table; Richie was at home on the microphone. A few of us ran a similar event for our 10th anniversary in 2012 and now even more of us know how to manage the tables. We hope to run the event again next year and so we look forward to more adventurous play on the tables. More photos can be found at the gallery page.